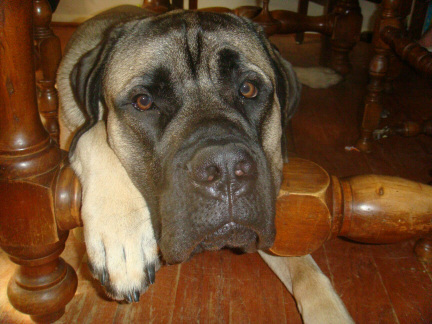 Now that we have two American Mastiffs, and since most of our pictures are of both dogs, I am combining their pages from here on out. Daegan will be three years old in July. Kieren just turned one on April 6th. 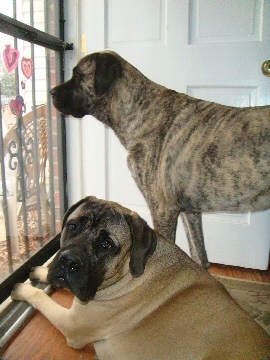 Both dogs weigh a bit over 150 pounds. From 4:15 to 5:15 P.M., we have chaos at our house. At that time, two 5 year olds, a 7 year old, and a 10 year old come homne from school. In that hour, we have snacks and homework time. Daegan, the independent, smart one goes into her crate where she is safe from all those swinging feet. However, Kieren, the "I have to be touching someone" one must be under the dining room table in the middle of all the action. But, he is too big to fit there comfortably! 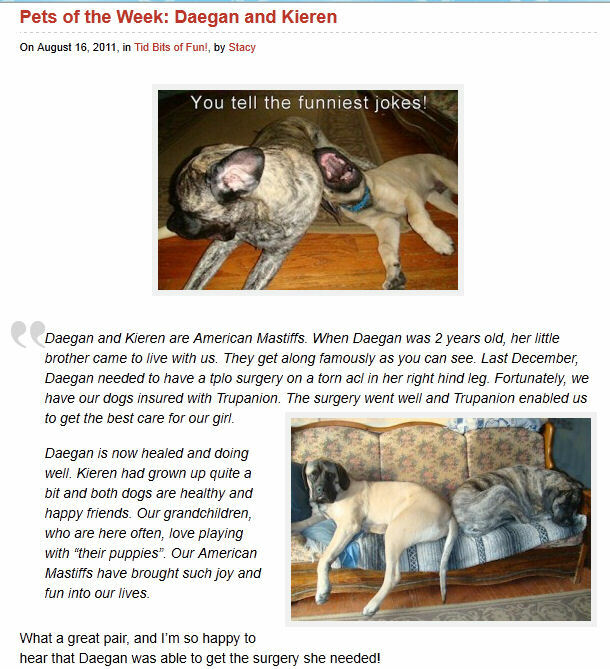 Daegan and Kieren were Trupanion's Pet of the Week! Trupanion is the insurance we carry on the pups.